At the centre of the Cape Winelands lies the Simonsberg mountain, a fynbos-rich massif, home to exceptional vineyards since the 17th century. 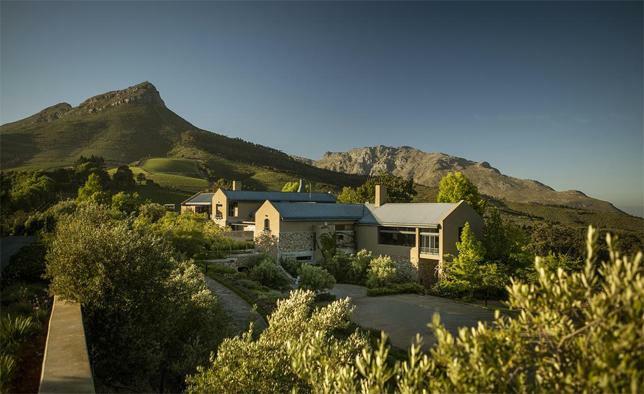 It’s on the southern slopes, with unrivaled views over False Bay to Table Mountain, that you will find TOKARA’s home vineyards and olive groves. The Highlands vineyard lies to the south of Stellenbosch in Elgin, a cool-climate area atop Sir Lowry’s Pass. Soils are predominantly Table Mountain sandstone imparting an ethereal scent to our Chardonnay and Sauvignon blanc.